In a patriarchal country like ours, shattering the glass ceiling and breaking stereotypes is no cakewalk for women — not for those hailing from privileged backgrounds, and even less so for those coming from small towns. But, proving it’s possible is firefighter Harshini Kanhekar, who has been challenging traditional gender roles by dousing fires across the country for close to two decades. The Nagpur girl enrolled in the National Cadet Corps back in 2002 which prompted her to apply for the armed forces. But somewhere in the middle of it all, a recommendation from a friend had her apply for a fire engineering course at the National Fire Service College in her hometown. After bagging one of the coveted 30 seats, Kanhekar officially became the country’s first female firefighter. 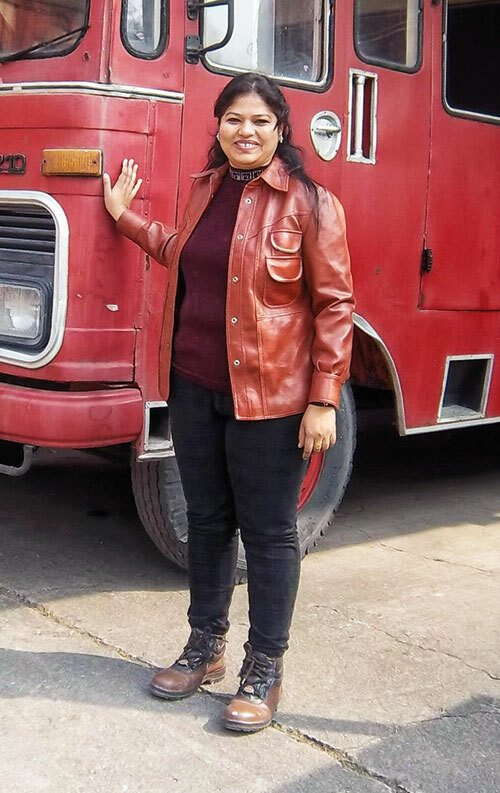 Since 2006, she has been working with the Oil and Natural Gas Corporation Limited (ONGC) and is currently posted at the company’s Mumbai offshore drilling service firm, where she serves as the deputy manager of fire services.